Our wish is every child at the orphanage will be adopted. Until that happens, your sponsorship will make all the difference. Update news and photos of your sponsored child will be sent to you during the year of your sponsorship! 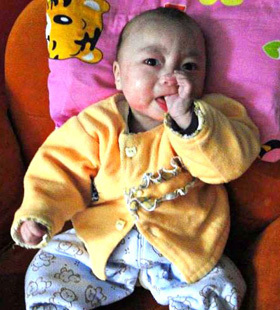 Fuling Kids International tends with heart to orphanage needs and fosters a community for children adopted from Fuling, China. 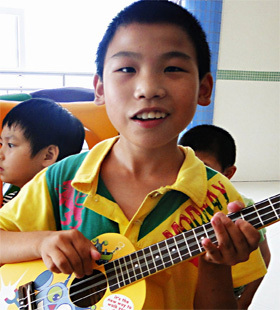 There are children at the orphanage still needing sponsors to sign on by the end of this year! Examples of some of the great kids in our sponsorship program. It costs $480 to sponsor a child for one year. You can make a single donation or use our $40 per month auto-pay option! To sponsor a child please fill out the Sponsorship form. As soon as you click the Submit button, you'll be directed to our paypal payment page to start your sponsorship! Put the name of child you wish to sponsor in this box. If you would like us to choose a child for you, please write "Choose one for me." If you have a preference for girl, boy, infant or school child, you can write that into this box as well! Please type in Sponsorship amount ($480) in this box. After you click the Submit button, you'll be taken to our Paypal donate option page to complete your sponsorship. Print and fill out this form, when you send in your check. Our online sponsorship payment options. It costs $480 to sponsor a child for one year. To make a one-time payment for your sponsorship of $480 click here. Want to pay your sponsorship monthly? You can set up an autopay sponsorship if you'd like to give $40 a month for one year. If you are sponsoring, don't forget to fill out the sponsorship form for your sponsored child at the top of this page!